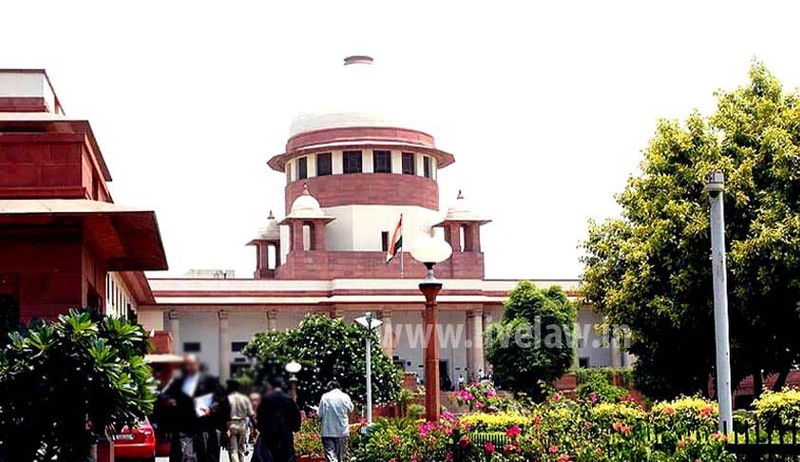 A bench headed by Chief Justice TS Thakur has issued notices to the Centre, National Commission for Minorities on a PIL which sought setting up of State Minority Commission in Jammu and Kashmir for proper identification of religious minorities like Hindus, Sikhs, Budhists and Christians and disbursement of benefits of central and state welfare schemes to them. “The petitioner is filing the instant writ petition in public interest to safeguard the interests of religious and linguistic minorities of the state of Jammu and Kashmir and for the enforcement of their Fundamental Rights enshrined under Articles 29, 30, 14, 15, 19(1)(2), 21 and 26 (a), highlighting the fact of non-identification and non-notification of the said minorities in the State of Jammu and Kashmir coupled with disbursement of minority benefits illegally and arbitrarily according to the whims and caprices of the successive State Governments”, said the plea filed by Ankur Sharma, a lawyer from Jammu. “The Hon’ble Supreme Court in TMA Pai Foundation & Ors. V/s State of Karnataka & Ors. and a catena of other decisions has ruled that Linguistic and religious minorities are covered by the expression "minority" under Article 30 of the Constitution. Since reorganization of the States in India has been on linguistic lines, therefore, for the purpose of determining the minority, the unit will be the State and not the whole of India. Thus, religious and linguistic minorities, who have been put on a par in Article 30, have to be considered state-wise”, it said. The state of Jammu and Kashmir till date has not legislated the State Minority Commission Act under which it shall empower itself to notify minorities by applying the prescribed criteria. Consequentially no community in the state of Jammu and Kashmir has been identified and notified as Minority but surprisingly, the benefits exclusively meant for the minority communities are being given away to certain communities in an illegal and arbitrary manner, it said. The Union Government indirectly recognizes Muslims, Sikhs, Buddhists and Christians of the state of J&K as minorities which is evident from the extension of minority benefits illustrated in paragraph four (4) of the writ petition. This is in spite of the fact that the National Commission for Minorities (NCM) Act, 1992 under which National Minorities are to be notified, is not applicable to the state of Jammu and Kashmir thereby making the recognition whimsical and illegal. The guidelines for the implementation of Prime Minister’s new 15-Point Programme for the Welfare of Minorities, lays down that “in States, where one of the minority communities notified under Section 2 (c) of the NCM Act, 1992 is in fact in majority at State level, the earmarking of physical/financial targets under different schemes will be only for the other notified minorities”. J&K is included among the listed states. But throwing this rider to winds, the government of India, Ministry of Minority Affairs awarded 717 out of 753 scholarships to the majority community in J&K State, it alleged. Constitutional guarantees under Articles 29 and 30 of the Constitution are no guarantees at all in the state of Jammu and Kashmir due to the failure of the Government in identifying religious and linguistic minorities and declaring them as ‘notified minorities. The relevant fundamental rights of the minorities in the state have been practically abrogated by not identifying and notifying the minorities. Rights and benefits due to the minorities are being siphoned off arbitrarily and illegally, said the PIL.